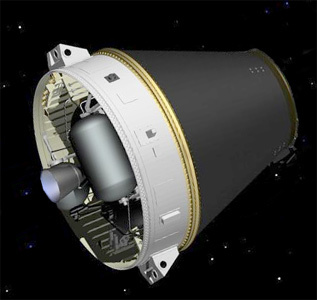 The AVUM VV04 (Attitude Vernier Upper Module VV04) was the upper stage of the Vega launch vehicle with the serial VV04. On the suborbital mission to launch the IXV, the AVUM used the remaining fuel to insert itself into orbit and then shortly after to de-orbit itself after one orbit. The purpose of this experiment was likely to test the tracking of the Vega launch vehicle on a mission to insert a payload into a near-equatorial orbit.